Virginia Governor Tim Kaine has just a few weeks left in his time at the Commonwealth’s Chief Executive. Recently, I sat down with the Governor for a lengthy look back at his four years in office. Kaine revealed quite a bit during our discussion, much of which I will share over the next few weeks, leading up to the inauguration of his successor Bob McDonnell. Among the many things we discussed was the vetting process during the campaign for President, that propelled Kaine into the national spotlight. Kaine developed a very close relationship with a then, Senator Barack Obama and was one of his early backers. Even though Kaine was not very well-known across the Country, that friendship was one of the main reasons that Obama considered Virginia’s Governor to be his running mate. Kaine, who was very quiet about the vetting process at the time, told me today that he, Joe Biden and Indiana Senator Evan Bayh were Obama’s three finalists. The selection process has been outlined extensively in campaign manager David Plouffe‘s book, “The Audacity to Win“. Kaine said that he was whisked away to several covert interviews including one with Obama himself. He said around that time, the candidate told him what his thought process was. At the time, national pundits were very skeptical that Governor Kaine had the foreign policy credentials necessary to serve as Vice President. 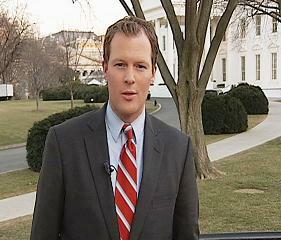 That concern was compounded by the fact that Senator Obama’s experience in foreign affairs was also not extensive. Apparently, Kaine felt the same way. Looking back, Kaine said that Biden turned out to be the right choice. Not only because he and Obama ended up winning by such a large margin, but because the Vice President has been able to leverage his connections with members of Congress to push forward the President’s agenda when it comes to health care reform. I’ll have more from my interview with the Governor in the coming days. 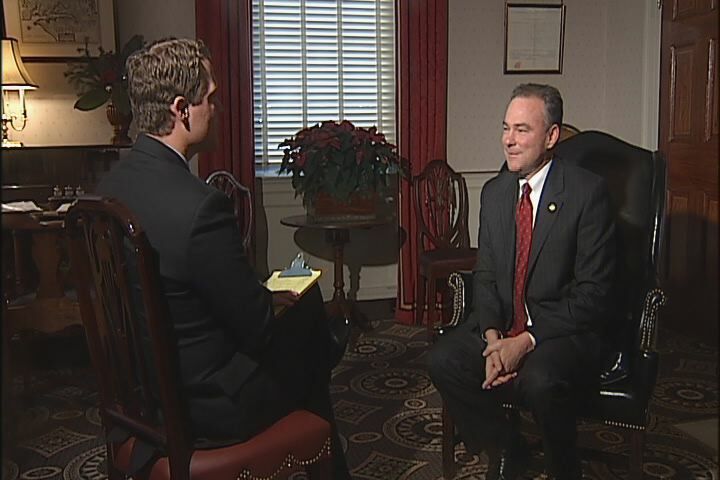 To see my story from NBC12-TV on Kaine’s reflections of his time in office, click here. « The benefits of your off day falling on the same day as a snow storm..